A Little About a Lot: Releasing the Inner Cowboy - a professional confessional. Releasing the Inner Cowboy - a professional confessional. As I have mentioned before, I've had a variety of paid jobs over the years. Apart from the obligatory 'student' Summer jobs and the like, most of these other roles came about because it was difficult to find and stay in work in my first chosen profession, as an actor. In a professional acting career of some 12 years, I probably worked as an actor for about 5 of those years; the rest of time, I was "resting" (a bigger misnomer I have yet to find), and undertook a variety of other jobs between acting work to keep the wolf from the door. I left school able to type (I have a Secretarial Studies SCE 'O' Grade) and I learned to drive in the Summer holidays before I started Drama School. So between those two ‘essential skills', I was always able to find work in between my infrequent acting jobs - usually in some kind of audio-typing or transcription work or as a delivery driver. And the typing jobs led to me being offered several permanent officework positions. Why? Because I was still acting when I took on those roles - I dressed the part, I walked the talk, I was articulate, accurate in my work, I stepped in where the need arose and tried to do the best possible job I could. An actor friend put it this way, "When you put an actor into another job, you're employing a cowboy who doesn't necessarily know the 'rules' or the politics of the situation, who is 'quick study' and just gets on with it, but in a more creative and effective way". Eventually, marriage, mortgage and a desire to start a family, coupled with a realisation that the next level of acting work wasn't happening quickly enough to achieve those aspirations, led me to take up one of those offers of a permanent job, and I became the Office Manager for a Transport & Planning Training Company in London. Again, I learned the job on the job (the work is the learning is the work) and I was off on another professional career, which eventually led to training and training (now Learning) management. But what I realised over the years is that the more 'professional' and good at the job I became, the less spontaneous, creative and engaged I felt. I was gradually conforming to my different employers' cultures and politics such that my 'inner cowboy', the amateur pirate that got me into these positions in the first place, had become depressed and gone off in a sulk. And you don’t want to be around a sulking actor, believe me! Jump forward to last year. I attended a one day Learning & Skills Group conference, and got my first experience of Twitter, in a session run by Jane Hart and Barry Sampson. People around me were whipping out their iPhones and laptops and we could all see something called a ‘Twitter Backstream’ projected from the Internet onto the screen. People, identified by strange @names, were commenting, answering - and asking - questions; and some of them weren't even in the room! Jane and Barry (or @C4LPT and @barrysampson as I have come to know them) kept things on track by getting everyone to use the same 'hashtag' (more magic), which meant that we could focus in on the topics under discussion. I had vaguely heard about Twitter, but with no context or application, had never grasped its potential. So I came home, signed up and got myself an account. I said 'hello' and people I knew (and some I didn’t) said ‘hello’ back, and a dialogue commenced. 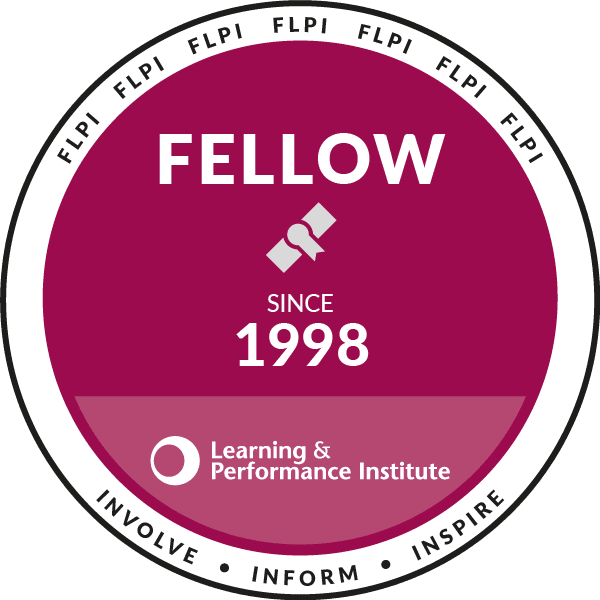 I started following people in the L&D and Social Media industry, and over the last year, I have developed an inspiring and challenging Personal Learning Network, to which I hope I have added some value myself. I have re-engaged, conversed, argued, learned from and generally 'got my mojo back' through the conversations and discussions with these clever and creative people. I’ve realised that there’s a parallel here with my professional career. In between acting jobs, I was essentially an amateur at everything else I did, until they became more permanent, professional positions. I started out as a Twitter amateur (an #amatwiteur, if you will) and have found the whole thing to be an interesting and inspiring experience. 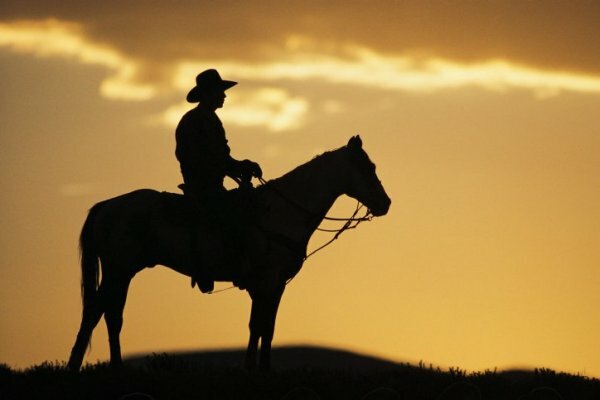 It has opened my eyes to the potential of social media in learning, and by being 'under the radar' at work, has refreshed and re-energised my inner cowboy. I have engaged with others, with my own team and with people at work in a way in which my 'professional' approach was not working - for me or for them. We’re all now playing with and reflecting on the potential of these new technologies in the workplace. Now, with a role change imminent at work and the refocus of a new leadership position in Learning Technologies, I am releasing my inner cowboy, my creative amateur, and starting to mix things up again. I’ll be updating this story with how things are progressing, in my session with Clive Shepherd at the World of Learning Conference in Birmingham on Tuesday 27th September (#WoL11). I hope you can be part of that too. I like the image of the 'inner cowboy' as a balance between 'a little about a lot, and a lot about very little', as a metaphor for cultural survival through creativity. The key for the genuineness of this experience is not to think too much of a job as a source of the usual daily survival, but to think of it as a form of your inner life. The extreme case is when one is not fitting any job/'Broterwerb', and his/her inner life is a source of services/survival/life joy to others. Great post Niall and thanks for taking part in #elnil last week! Cristi, thanks for that insight. Of course, work and profession is just part of how we 'show up' in life and the interactions and relationships we experience in all areas. I have done some other therapeutic work, and this is also reflected in the outcomes of my piece. Thanks for taking the time to read and comment. And thanks to you too Lelsey. Looking forward to working with you on the 'TM' Benchmark stuff.